This Mother’s Day go natural, yes gift her something fresh like nature’s own gift ‘flowers’. 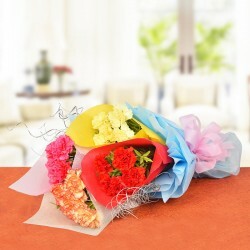 You can surprise your mom by sending Mother’s Day Flowers to Chennai from our special flower collection. The gorgeous, naturally fragranced flowers from MyFlowerTree are available to add joy to your Mother’s Day celebration. The soft touch of your mom’s hand on your forehead always defines your bond with her. And this Mother’s day, it’s the time to celebrate that bond by sending fresh, soft, stunning, and natural flowers from our wide collection available at MyFlowerTree. You can send Mother’s Day Flowers to Chennai to surprise your mom because flowers are an evergreen gesture of love, care and emotions. We have wonderful collection available that you can choose and add a note of love for your dear mom along with it. Gifting something that one just can’t take their eyes off, is none other than flowers because flowers are beautiful. They are the best gift that nature has given us and we can dedicate these gorgeous flowers to none other than or lovely mom because our mother is like a flower itself. They are soft, beautiful and beautify everything wherever they go. So why not send your mom, special Mother’s Day Flowers from our assorted collection that includes splendid pink roses, assorted mixed color roses, dark pink roses, lilies, Asiatic lilies, white lilies, gerberas, carnations and orchids. These flowers are available in different collection and in different arrangements like basket arrangements or as a bouquet. You can also go for our Mother’s Day Flowers and Cakes to Chennai to amaze mom with the deliciousness of cakes and freshness of flowers. It’s Never Too Late When MyFlowerTree Immediate Delivery Services Are There for You! If you have suddenly remembered that it’s Mother’s day and you have not yet sent any gift to your mom, then it’s not too late yet, you can choose our same delivery and express delivery services. 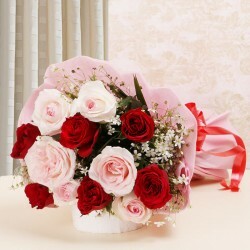 Our customized Mother’s Day Flower Delivery in Chennai is convenient and timely. Now, no more disappointment, as our delivery services will help you send stunning flowers in just a few hours for a beautiful surprise. 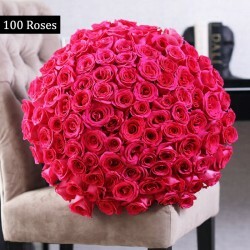 So, if you want to send gorgeous flowers to your mom, your mother-in-law or grand-mother then choosing our delivery services is the best idea to depend upon. You can also send Mother’s Day Cakes Chennai along with stunning flowers whenever you want.